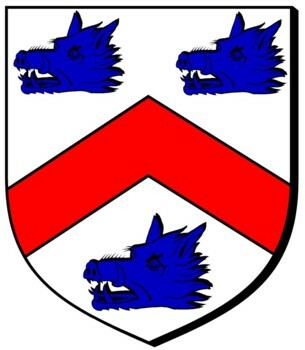 1) Argent a chevron Azure between three boars' heads couped Gules. 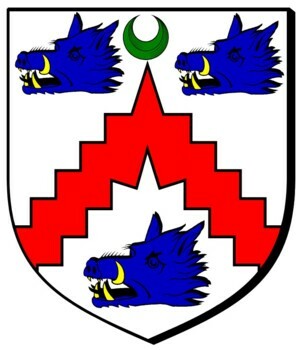 Argent a chevron Gules between three boars' heads erased Azure. Sir James Balfour Paul's Scottish Ordinary. 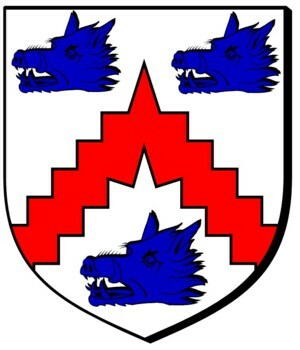 Argent a chevron engrailed Gules between three boars' heads erased Azure. Sir James Balfour Paul's Scottish Ordinary. 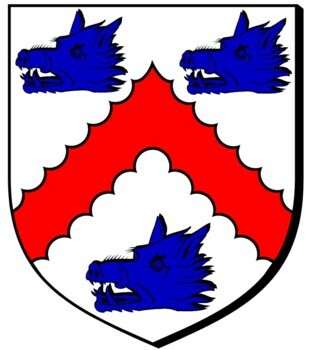 Argent a chevron indented Gules between three boars' heads erased Azure. Sir James Balfour Paul's Scottish Ordinary. 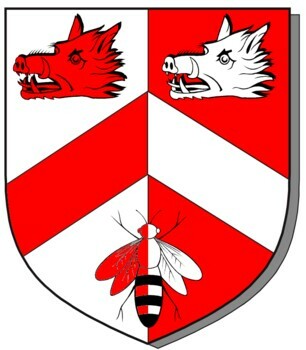 USA Argent on a chevron Gules between three boars' heads erased Azure langued of the field an antique crown Or. 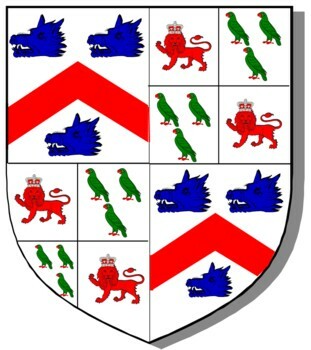 1) Sir James Balfour Paul's Scottish Ordinary. 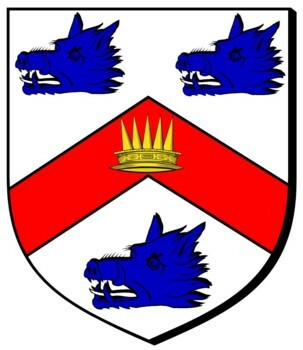 Argent a chevron indented Gules between three boars' heads erased Azure armed Or and langued Sable in the middle chief point a crescent Vert. Sir James Balfour Paul's Scottish Ordinary. 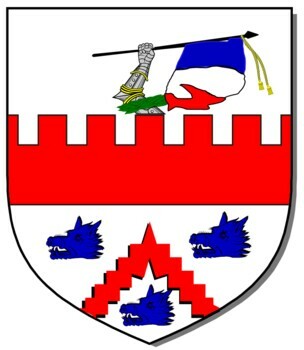 Parted per pale Argent and gules a chevron between two boars' heads erased in chief and a bee Volant en arriere] in base all counter-changed. Sir James Balfour Paul's Scottish Ordinary.